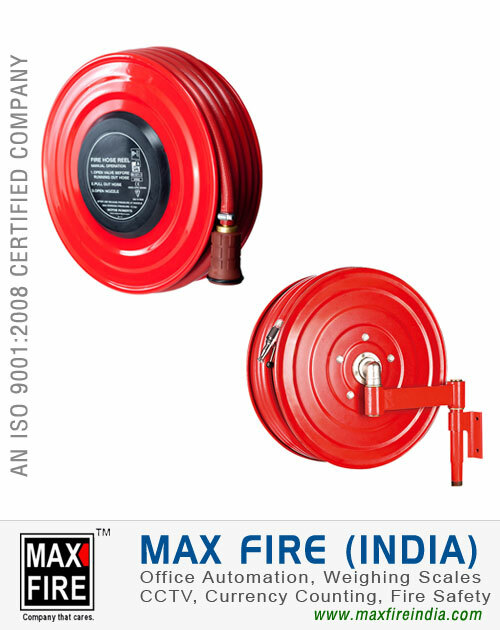 Hose Reels for Firefighting purpose, of excellent quality and performance are manufactured in general as per IS: 884. Material of construction : M.S. Sheet 18 SWG and non-corrosive working parts. Hose : PVC braided hose. Shut off nozzles : Gunmetal/ SS304 Jet and Diffuser type nozzles available. Item Description : Fire Hose Reel Swinging type as per IS:884 to accommodate 30mtrs/36mtrs., 19mm/25mm, Rubber / PVC Braided Hose with Hose & GM/SS/PVC Shut off Nozzle.